I find my new Sony Cybershot Bridge camera really difficult to use and alter the settings so I have kept it on auto. I enjoyed spending a day learning how to understand the settings on my camera, how to work with natural lighting and reflectors, white backgrounds for press releases, magazines etc. We talked about websites and just how important it is that your photographs are stunning, noticeable and that they show your work off to the best advantage. After all, we all want our designs to look spectacular. Because my supporting study was photography, I feel I should be able to take great photos. Ugh. I have files of rubbish. Not giving in yet though. Remembering all of the settings is the problem! Here are a couple of pictures I took at David's. The colour isn't 100% accurate, but to get acceptable white backgrounds without fiddling is fantastic.The objective, for me, was not to expect to take great pictures, but just to come home with a new knowledge. I was quite pleased with them though. 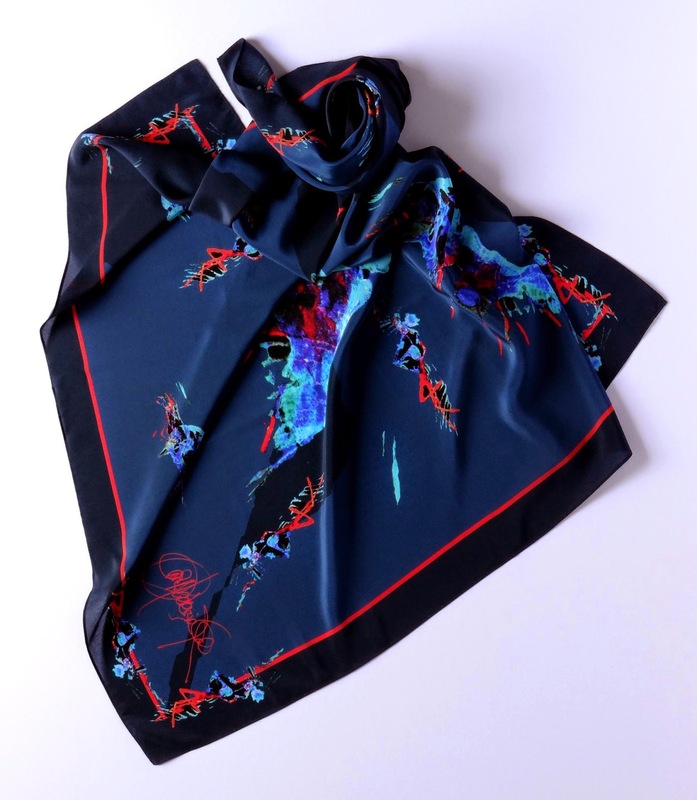 'Shrimps and Mermaids' is a wearable art scarf in pure, quality crepe de chine silk, a bespoke design created from 'Zen' imagery drawn and painted in meditation. I overlayed incompatible dyes, pigments and inks onto the silk, steaming them altogether. Some of the imagery is so beautiful. This is one of my favourites, so stunning to wear next to the skin. £169. 'Hawaiin Night'. 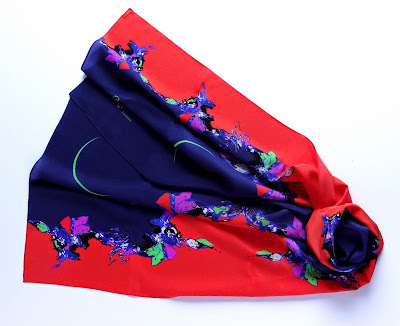 A long pure silk stole. Gorgeous! £159. Also, I wanted to know what settings to use to take a close up picture with a blurred background. I might need to ask Dave to remind me of that one.